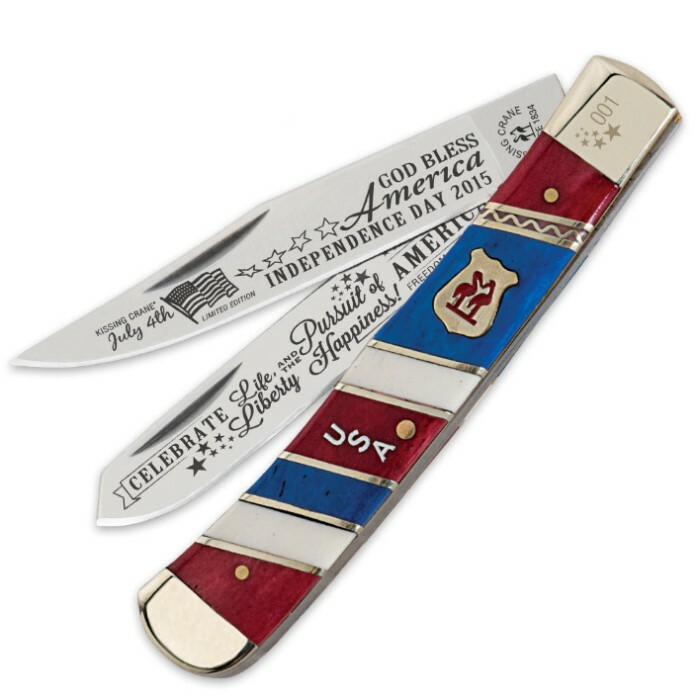 Kissing Crane July 4th Independence Day Special Limited Edition Trapper Knife | BUDK.com - Knives & Swords At The Lowest Prices! 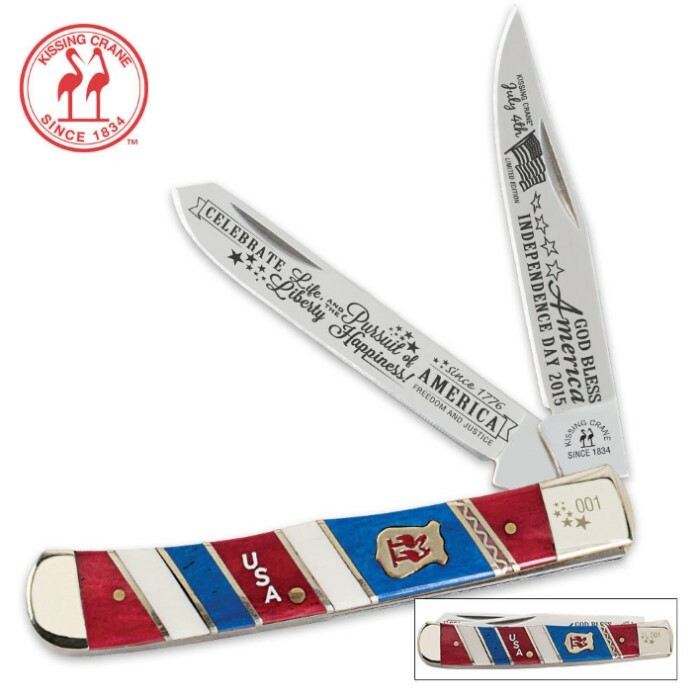 It's that time of the year again, and Kissing Crane is as proud as ever to commemorate Independence Day with this exclusive special limited edition folding trapper knife. The 440 stainless steel blades are razor sharp with commemorative July 4th laser etchings. Strictly limited to 600 pieces worldwide, each one is laser serialized on the bolster. 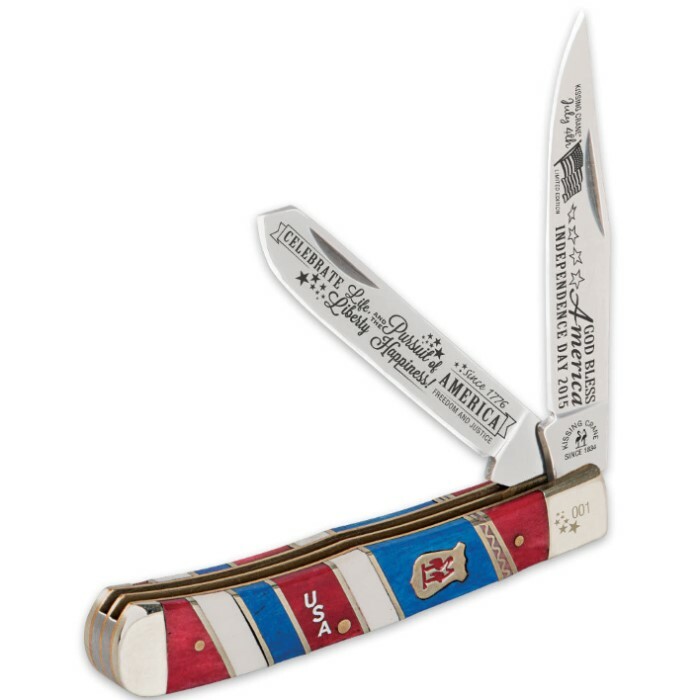 The red, white and blue genuine bone handle is handsomely accented with brass-plated bolsters, liners, pins and the classic Kissing Crane cast shield.